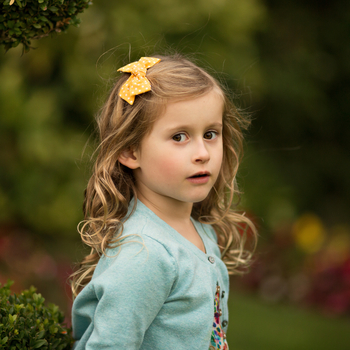 Our Poppy hair bow is the brightest of yellow with a delicate white spot. Free delivery. 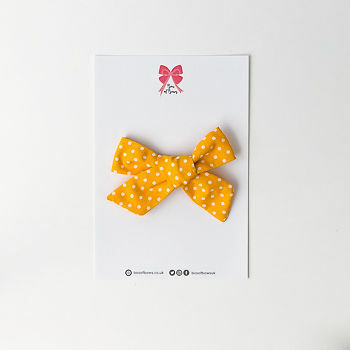 Individual bows are shipped in a pink bag.